New Year Price Promise – we’ll match any Invisalign quote from certified providers within the Yorkshire area. Enquire below for more information. We do not provide fixed metal braces. We feel that if a patient is lacking confidence in their smile, the last thing they will be looking for is a straightening technique which draws attention to their teeth. For this reason we work solely with Invisalign who are the global market leaders in discreet orthodontics. Having successfully treated over 4 million patients worldwide, there is no doubt as to how well the technique works. Marcos has been working with Invisalign for over 10 years. 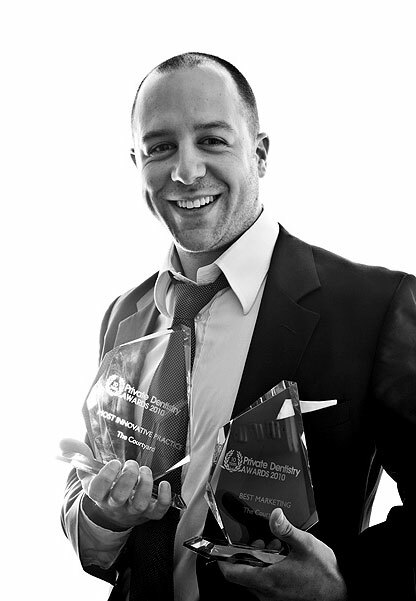 He has completed in the region of 650 cases in this time and is recognised as the most experienced Invisalign dentist in Yorkshire. The process is simple: we take digital scans of your teeth at your free consultation. Produce an instant 3D visual of your perfectly, straight teeth. Once in treatment you change your clear aligners every 7 days until your teeth are straight. The length of treatment depends on the severity of your start point, but in over 700 cases we have never had a patient we couldn’t help. So why don’t you arrange a free consultation with us to take your first step to the smile you deserve. Invisalign Lite provides 14 clear aligners to treat moderate cases of crowding and spacing. A typical case will take 6 - 9 months to complete. Invisalign Complete provides an unlimited number of clear aligners to treat complex cases of crowding, spacing and uneven smiles. A typical case will take 12 - 18 months to complete. Invisalign Lite provides 14 clear aligners to treat moderate cases of crowding and spacing. A typical case will take 6 months to complete. Invisalign Complete provides an unlimited number of clear aligners to treat complex cases of crowding, spacing and uneven smiles. A typical case will take 2 years to complete. 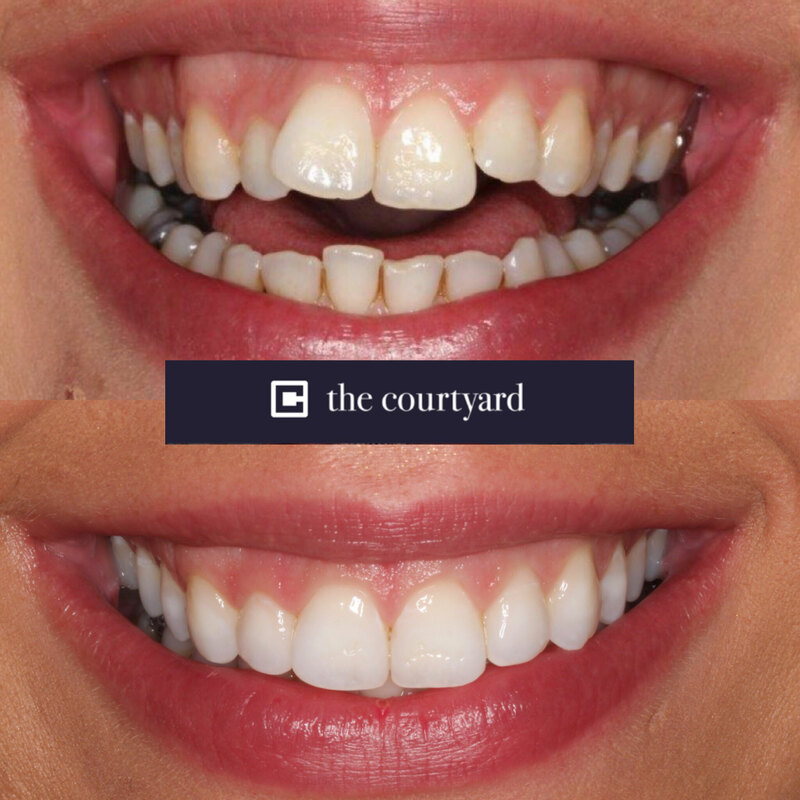 "Dear team at Courtyard Dental, Marcos, you have changed my life! I visited Marcos in 2010, terrified of the dentist and unable to smile, for fear of showing my crowded and crooked teeth. Having been told by my other dental practice that only traditional 'train track' braces would work I had been put off the idea. Marcos welcomed me into his spa like practice and discussed how we could make my smile beautiful, relatively pain free, and without the use of traditional braces. Invisalign was the perfect option for me. Discreet, almost invisible, not a single person knew I was undergoing a smile transformation. The treatment was virtually pain free, except maybe a dull ache after changing an aligner. I am more than delighted with results and I now have a PERFECT smile". 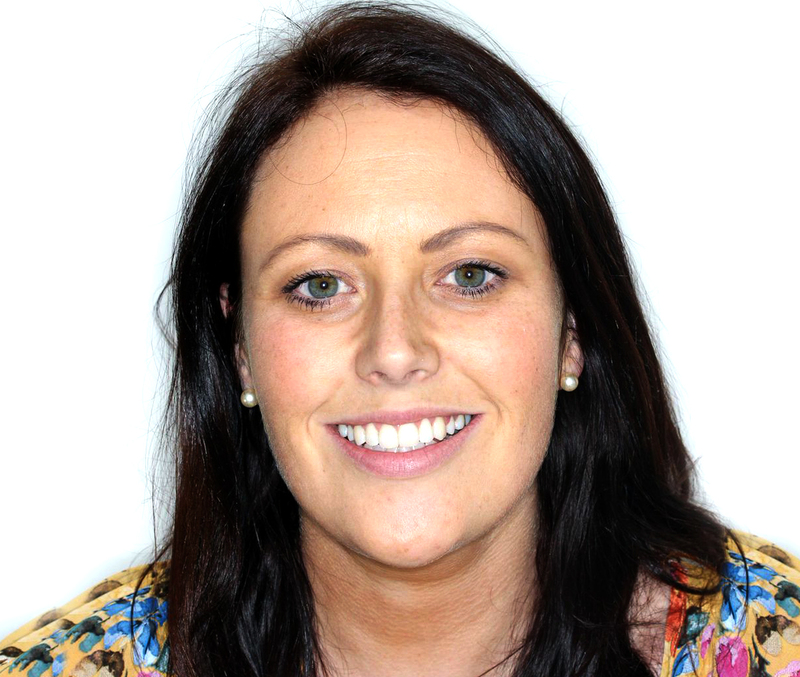 "What first drew us to invisalign as a treatment was how discreet it was. The fact that a patient could straighten their smile and no one would notice they were undergoing treatment was amazing to us. After working with invisalign for over 10 years we now know that the product and results are so much more than that. With over 650 completed cases and Platinum Elite Accreditation, we know how important invisalign is to our patients. In some cases it is transformative. Whether treating simple cases in a matter of months, or more complex cases where the results are truly astonishing. We continue to see invisalign becoming more and more popular".